Hello friends! Just wanted to give you heads up – I am up on Hero Arts Blog sharing my first ever interactive spinner card. I can really use some feedback on this one as I’ve never made cards like this before. They are quite addictive and I do see myself making similar projects in the future. 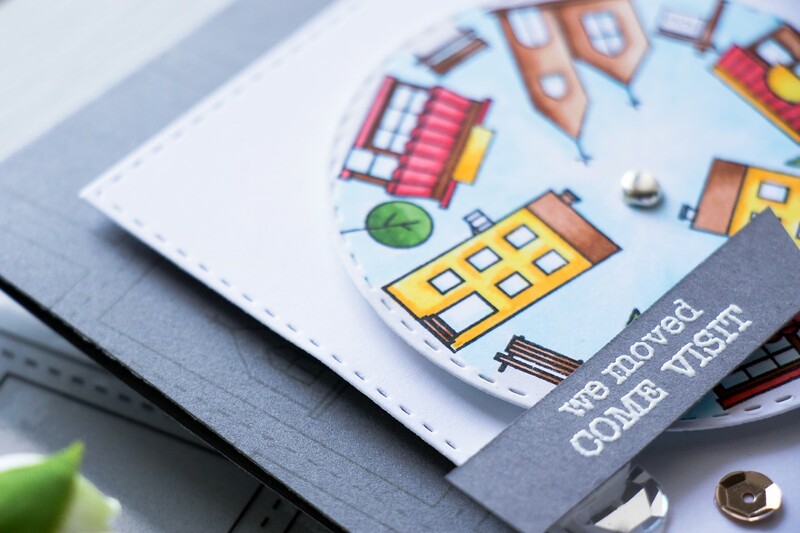 This card was done using a fun Town Essentials stamp set, I’ve shared 3 more cards using it (and a video tutorial) on my blog previously. Find that post here. Love this card and I’d love to see you do this one in a video. I enjoy watching the process in action. Saw it over at HA blog, stunning! 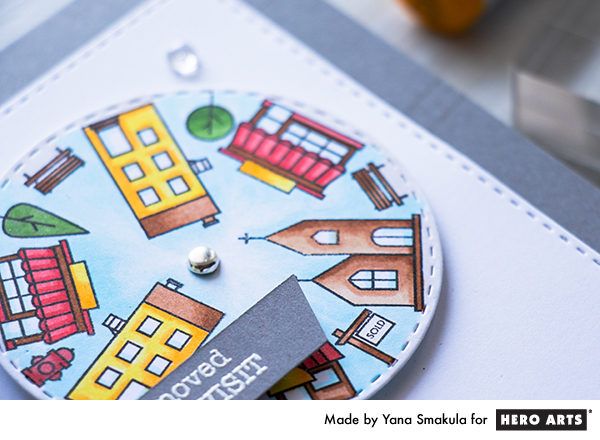 Love the spinner, colorful houses and cool gray background!